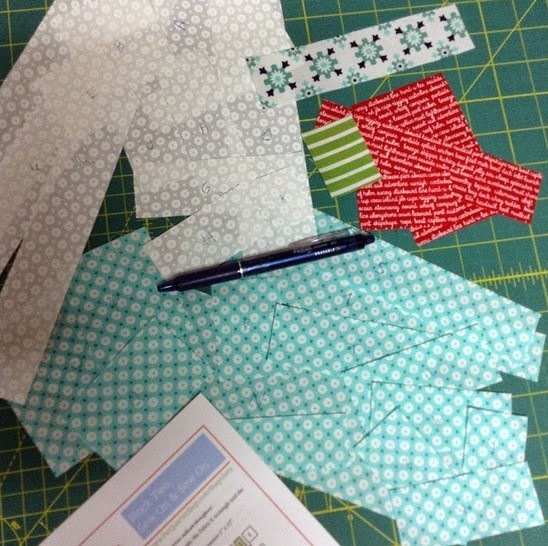 It's month 2 of the Snapshots QAL and that means that there is a new block to work on!!! This month, is Sew On & Sew On and how could I not absolutely love this month's block!!! It's a sewing machine, Love It!!! So, do you want to make a adorable sewing machine block too?? You can download the pattern right here and then don't forget to donate the $5.00 for the pattern to St. Jude Children's Research Hospital ;) This is such an amazing cause and it is so fabulous that Fat Quarter Shop and Moda will be matching our donations up to $10.000.00!! Kimberly also made putting this block together even easier with this fabulous You Tube video. Bonnie and Camille start it off with some of their special sewing memories as well ;) Love It!!! Thanks for popping in today ;) Have a Happy Quilting (and maybe sewing on) Day!!! Your sewing machine block is super sweet! Wouldn't it be fun to be quilting along a machine with these beautiful colors!! This is my favorite block in a quilt made up of all fabulous blocks! Your sewing machine turned out perfect Melissa!